How long do I wait before I receive my order? For standard shipping you should receive your order in 5-10 business days. For expedited shipping your order arrives within 2-3 business days. We ship anywhere within the United States and Puerto Rico. Currently we do not ship internationally or to PO boxes, APO/FPO. How can I get assistance if I would like some help? We try to carry as much great merchandise as possible, but sometimes things sell out quick! 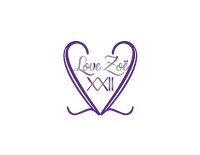 You can contact us @(LuvZoe22@gmail.com) but unfortunately we may not be able to give you any specific details beside low, medium, or high inventory on any given item.